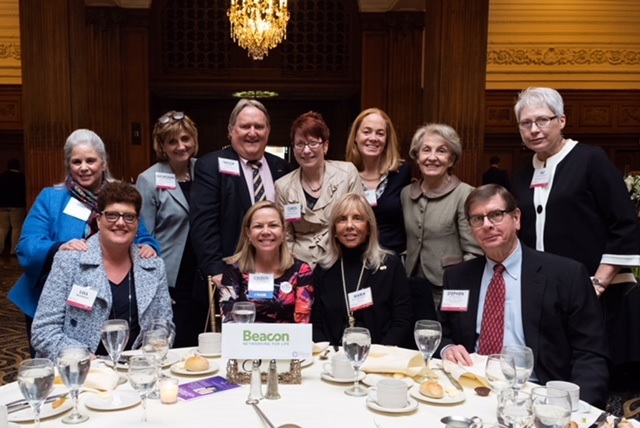 Beacon members represent a broad a diverse group of executives from many industries and communities throughout the Greater Philadelphia and the mid-Atlantic region. Our members care about the community and giving back. We actively seek out and participate in community service events to help improve the communities where we live and work. Check back here often to learn about opportunities to get involved and give back through community service projects alongside your Beacon colleagues. At our Princeton Executives event last month, we impacted literally hundreds of hungry and food insecure children and families in the the Princeton/Mercer County area. 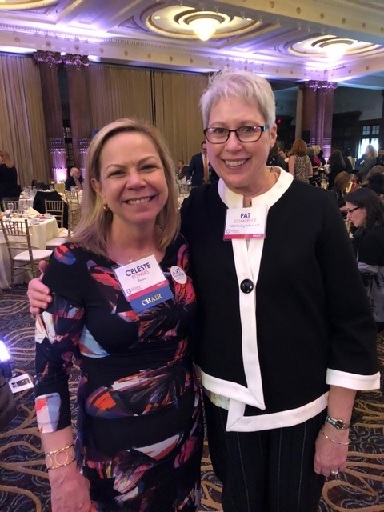 Beacon was an Event Partner for the 12th Annual Women’s Resource Center Leadership Luncheon on April 20th at the Crystal Tea Room. Thanks to the support of many Beacon members, we had 12 members and guests join us with our own Beacon Table. This fabulous event celebrates women who are leading the way in helping other women, girls and families and featured: Karen Dougherty Buchholz, Senior Vice President, Administration, Comcast Corporation as the Keynote Speaker, Lisa Thomas-Laury as the Honoree and Erin Coleman, NBC 10 News as Emcee. Our Executive Director, Celeste Powers, proudly served as the volunteer Chair of this luncheon. The mission of Women's Resource Center is to help women and girls successfully navigate life’s transitions and inspire others to do the same. By providing resources, tools and support for today, they create hope for tomorrow. Learn more at https://womensresourcecenter.net/. Beacon provides over 90% of the mentors for this Temple University business plan competition every year. Want more information? Contact Beacon Member, Greg Fegley.